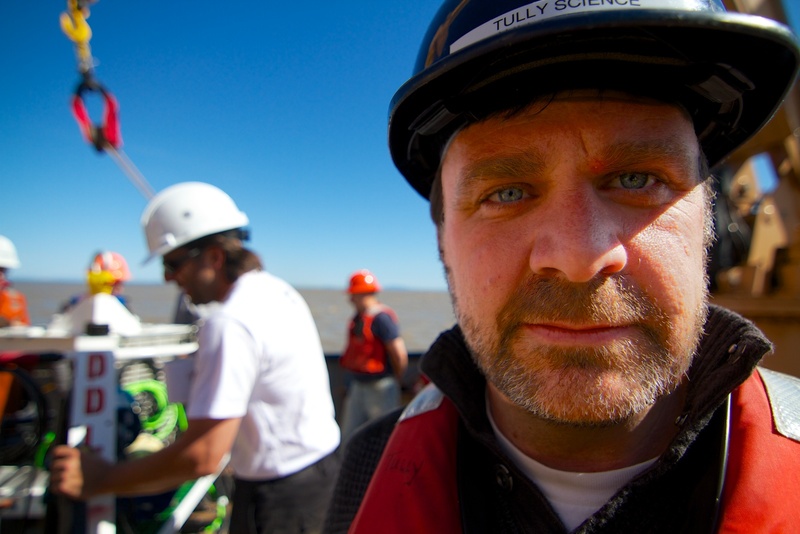 Are you an ocean scientist with interest in ocean observatories? Do you want to know more about how Ocean Networks Canada (ONC) works? Are you interested in making it better? Would you like to help set the goals and direction of the ONC observatories and associate programs, and ways to maximize resulting outstanding science? Join us aboard the CCGS Vector from 7-14 March 2018 to explore the fjords of the Central Coast of British Columbia! This is an exciting opportunity to experience an area of high significance for the Heiltsuk and Kitasoo/Xai’Xais Nations. A partnership between Oceana Canada, Fisheries and Oceans Canada (DFO), the Heiltsuk and Kitasoo/Xai’Xais First Nations, Central Coast Indigenous Resource Alliance (CCIRA) and Ocean Networks Canada, the expedition's goal is to gather data in areas important for rockfish, corals and sponges, which will help inform marine planning efforts. Ocean Networks Canada hosted an international workshop 7-8 February during which scientists and sensor developers discussed the importance of obtaining accurate and reliable data from ocean-observing systems for ocean acidification. The workshop featured ONC science theme leader Jim Christian, research scientist with Fisheries and Oceans Canada and the Canadian Centre for Climate Modelling and Analysis, and an adjunct faculty member at UVic. Workshop participants included researchers from Canada, the U.S., Japan, the UK and Germany. When Ocean Networks Canada’s marine operations team hauled out the Campbell River community observatory for its annual maintenance, they were in for a surprise. A herd of sea urchins had made the platform their home and were earning their keep by feeding on the marine debris that normally accumulates on underwater infrastructure, aka biofouling. 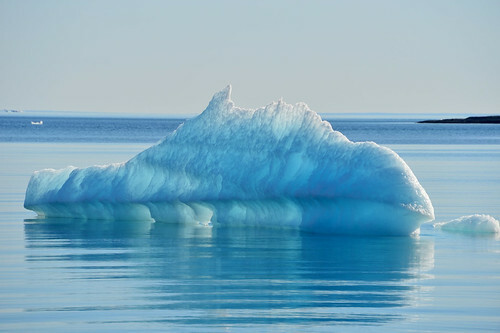 Only 0.5 percent of the world’s population lives in the Arctic, a remote region where extreme conditions prevail and daily life revolves around ice. And as global warming continues to cause rising atmospheric and ocean temperatures, that all-important sea ice is increasingly melting away. On 11 September 2017, Ocean Networks Canada (ONC) board member Don Krusel announced his retirement from his role as president and CEO of the Prince Rupert Port Authority, after serving as a visionary leader of that organization for the past 25 years. Krusel remains a valuable member of the ONC board of directors. It’s never too early to help young ocean scientists get to know the ocean. In April 2017, Ocean Networks Canada (ONC) hosted its fifth annual Ocean Science Symposium, an engaging two-day opportunity to inspire the next generation of ocean scientists. Bringing together over 70 students and teachers from 16 schools across Vancouver Island, northern British Columbia, and the Arctic, this educational hands-on experience emphasized the teamwork and collaboration needed to explore and understand the ocean. In March 2017, physical oceanographer Kim Martini hopped on a seaplane from Seattle to visit Victoria, BC. Kim works with Seabird Scientific and she was invited by ONC to deliver a boot camp on how to get the best data from Seabird's oxygen sensors. Not only is Kim an experienced ocean scientist, but she is also a well-known science communicator and blogger with Deep Sea News. We sat down with Kim to talk about the value of Twitter, pitching stories, leveraging humour, and what's next for science communication. Good news for British Columbia! Ocean Networks Canada is one of 26 projects to be selected for funding through the Canadian Safety and Security Program (CSSP), a federal program led by Defence Research and Development Canada, in partnership with Public Safety Canada. This funding will support our ongoing work with Honourable Naomi Yamamoto, BC's Minister of State for Emergency Preparedness, and Emergency Management BC to develop an Earthquake Early Warning alert system for British Columbia. For International Women’s Day, we celebrate two powerful ocean leaders who stand on guard for the sea on Canada's east and west coasts. On the Pacific coast, ONC CEO Dr. Kate Moran (left) is an internationally renowned ocean engineer who has led several major oceanographic expeditions. And on the Atlantic coast, Dr. Wendy Watson-Wright is CEO of Dalhousie University's brand new Ocean Frontier Institute. Dr. Watson-Wright brings 25 years of experience in the marine scientific research community including serving as Fisheries and Oceans Canada’s assistant deputy minister of science. This dynamic duo are leading the way for global ocean research and stewardship. On 20 December, President Obama and Prime Minister Trudeau issued a United States-Canada Joint Arctic Leaders’ Statement to launch actions ensuring a strong, sustainable, and viable Arctic economy and ecosystem. Actions include low-impact shipping, science-based management of marine resources, and freedom from the future risks of offshore oil and gas activity. Together, these actions set the stage for deeper partnerships with other Arctic nations, including through the Arctic Council.